KEN YUSZKUS/Staff photo. Danvers High School student Mike Plansky, 3rd from the left, has been working with students in his DECA club to create a voice for his brother, Max, who can't speak because of cerebral policy. 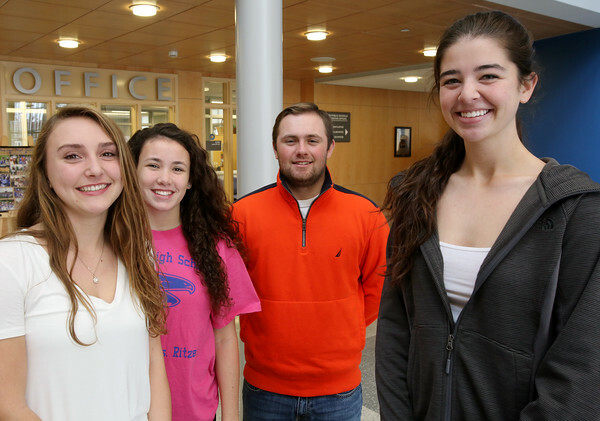 The students working on the project are from left, Maddi McKenna, Lillie Hodgkins, Mike Plansky, and Maddi Mucci. 11/10/15.